Christmas! It’s next week, y’all! December always seems to go by in a hurry. I’ve been packing all week for what I’m calling our South Georgia Christmas Tour. We haven’t been home for Christmas in three years. We are always excited to drive down and visit our family, and it will surely be a special time since it is Christmas. But it will be a whirlwind! If you need any last minute Christmas inspiration, here are a few links I have been saving this month. 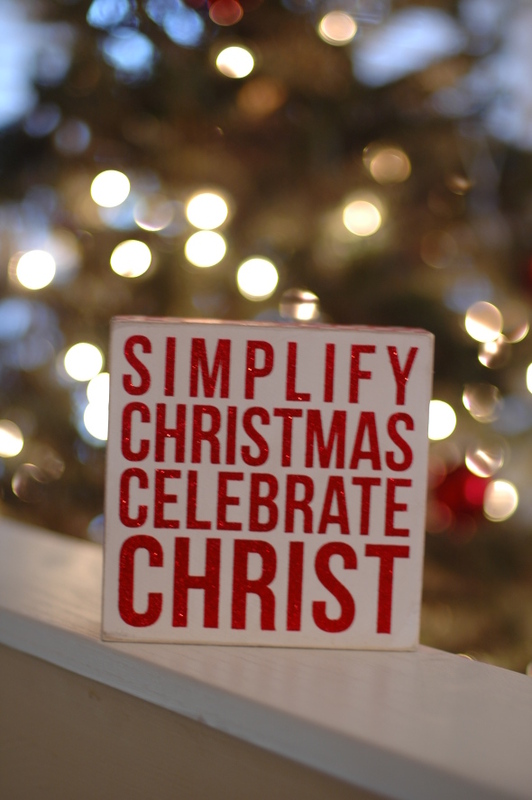 Everything we do to celebrate Christmas can be an illustration that points to Christ! ohAmanda shares Sure Fire, No Prep, No Cost, Easy Peasy Meaningful Christmas Ideas. What do Saint Nicholas, stockings and gifts have to do with Jesus’ birthday? Check out this link for several interviews by Phil Vischer, creator of VeggieTales, as he discusses our modern day Christmas traditions. Courtney DeFeo, creator of ABC Scripture Cards, developed a Light ‘Em Up movement to shower random acts of kindness to people in her community. See her awesome ideas for 2014 here. Looking for an alternative to decorating Gingerbread Houses? Try these Christmas Tree Cones. Love this party idea that Joni created to serve teen moms. I can’t think of a better way to celebrate Jesus’ birth than serve others. Joni also shows how your littles can help out with wrapping gifts. Ann Voskamp has some really great FREE printables for the season. I like the Christmas Light Scavenger Hunt. You can also find printable ornaments for her bestselling advent book The Greatest Gift and Unwrapping the Greatest Gift. If you are looking for more Advent material (better late than never), check the resources below and be sure to Pin them for next year too! Truth in Tinsel provides daily Bible reading, and craft ideas. Don’t think you can do a craft every day during the Advent season? Don’t sweat it, Amanda knows life can get crazy during the month of December, so she recommends shorter versions of her monthly devotional. Story Warren provides an Advent devotion written by James Witmer with beautiful (and printable) ornaments by Melissa Ellen Fink. This devotion is great because the author uses The Jesus Storybook for several daily devotional readings. Oh, and I just love Sally Clarkson. Read her wise and comforting words about preparing your home during the Christmas season.